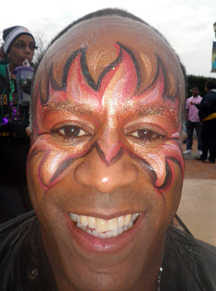 I have been painting faces for Mardi Gras since 1996. I do some walk around in French Quarter and on parade route, but I also have a lot of booked events and parties. 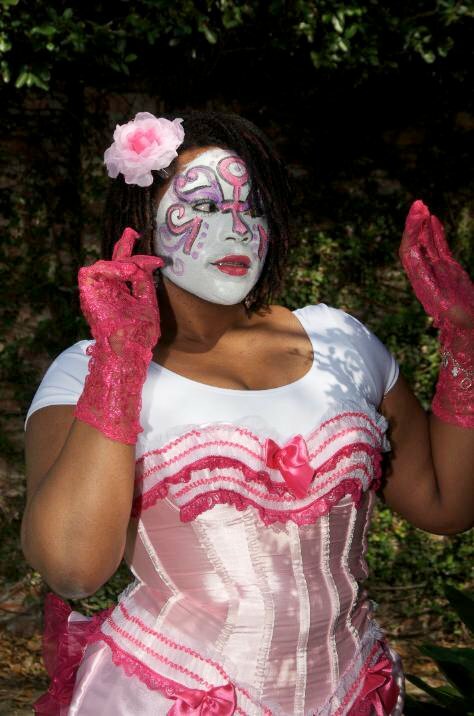 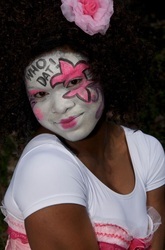 I have been working with New Orleans Society of dance - one of Baby Dolls' groups - for several years, here are some pictures from a photo-shoot. 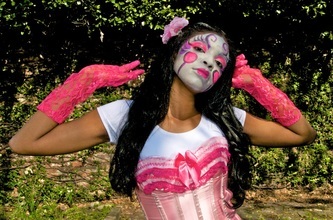 They are a part of Zulu parade and do performances at festivals and parties. 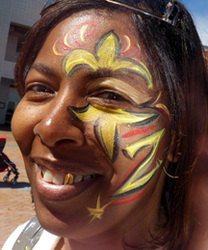 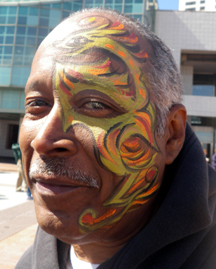 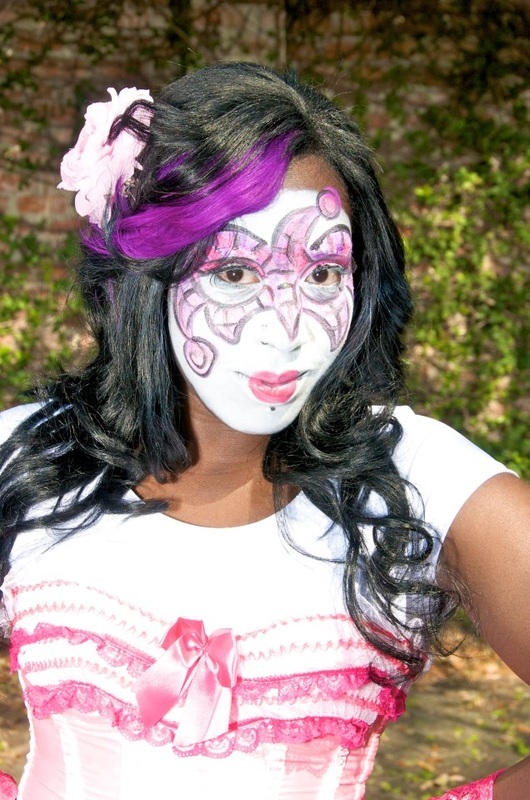 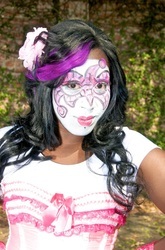 This was my second year working for the Krewe of Zulu at Lundi Gras, doing free face painting for kids and krewe members. 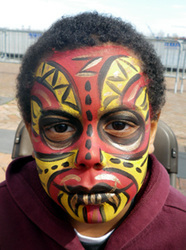 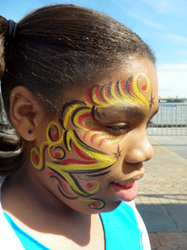 They were looking for a really fast face-painter - and they found one!